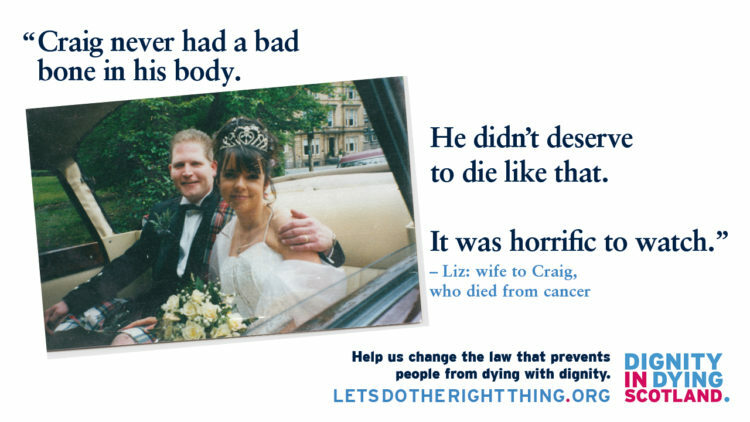 The poll comes as Dignity in Dying Scotland today launch a nationwide advertising campaign ‘Let’s do the Right Thing’ with newspaper and digital ads featuring people who are dying and those who have lost loved ones. At the moment one person every eight days is travelling from the UK to Switzerland in order to end their life. Those that can’t afford it, are too unwell to travel or don’t want to have to die early when they are still able to make the journey, often end their own lives in this country, sometimes alone and in traumatic circumstances. Dignity in Dying Scotland is calling on the Scottish Parliament to introduce safe and compassionate laws that would allow terminally ill, mentally competent adults the choice of an assisted death. Filmed case studies can be found on You Tube. safeguards, and for universal access to high quality end-of-life care. Ally Thomson, Director of Dignity in Dying Scotland will be joined by two supporters of the campaign each of whom has either witnessed a family member experience a bad death or are facing terminal illness. Their stories are featured on a campaign advan which will be available on the day. Liz Wilson, 45, from Cumbernauld. Liz’s husband Craig died a bad death from cancer in December. Kay Smith, 54, from Kilwinning. 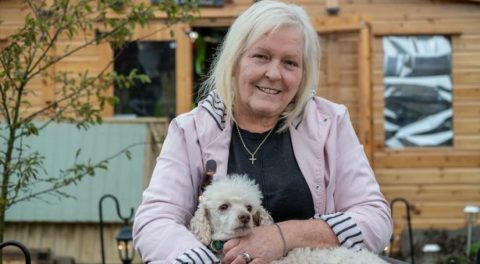 Kay is terminally ill and wants the choice of assisted death. Dawn Morton, Pearl Cameron and Kirin Saeed will also be available.